I met Leigh-Ann five years ago. I was working at a craft show when this young woman and her mother came up to my booth. They spent a lot of time looking at my art, and they ended up purchasing more than one Inspired Stone! What struck me was Leigh-Ann's (and her awesome mom's) extraordinary enthusiasm. It was wonderful and contagious. We shared a love for the written word, fonts and stones. We really connected that day. When we met, LA mas making amazing handmade photo albums. She started her Freckled Nest Blog a few years ago and has found much success. Her personality and creativity has connected her with extraordinary people all over the world. Some of LA's wonderful traits are her readiness to learn, her interest in others and her willingness to take chances. She has had big dreams and she is making them come true. 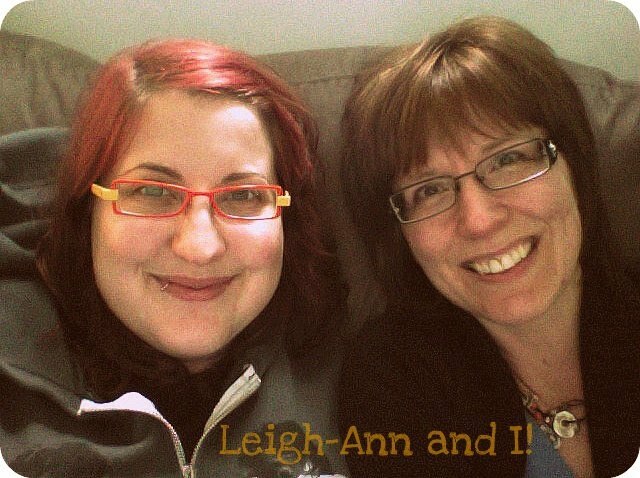 Besides writing her blog, Leigh-Ann now teaches others (like me!) how to manage a blog and also designs gorgeous web/blog makeovers (Fig. 1 - what you're reading now!). She is making a big move to the States this summer to work with another creative superstar, Elsie from Red Velvet Art! Working with LA on this blog was a tremendous pleasure, not only because she one of the nicest people I've ever met, but because she has the ability to transform words and ideas into something beautiful. 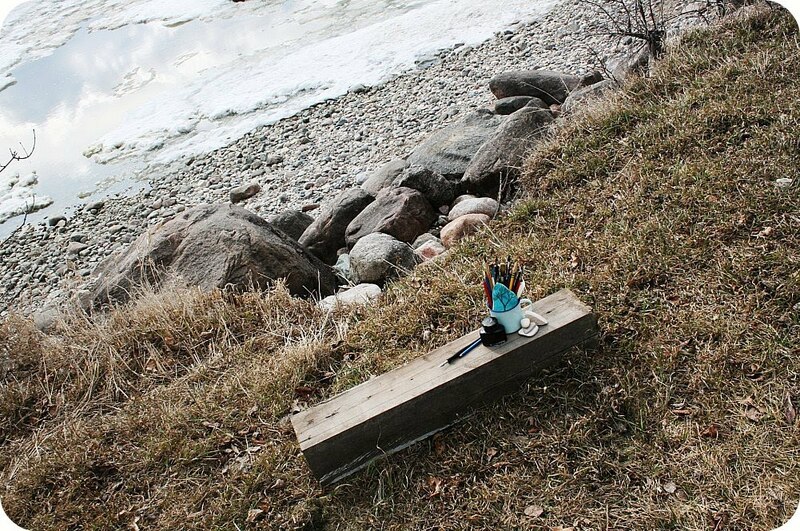 She uses her great eye and imagination to produce inspired work. While working on the blog, Leigh-Ann made me take a hard look at my business and art, and helped me think of new ways to grow and expand. She encouraged me to extend my artistic horizons, which I hope to be acting on in the near future (watch for ArtRocks in paper)! It's been something I've wanted to do for years, but her encouragement and positivity helped me bring out things in me which were waiting to be unleashed! She has a gift with colours and graphic design , which she's put to use in the best way! Take a look at the set up for the banner design for my blog! 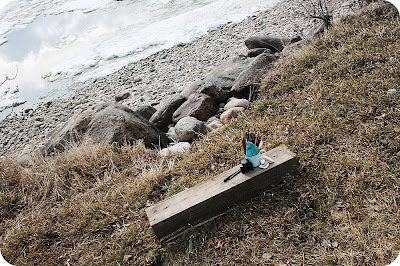 LA borrowed items from my artroom, found the right spot and the right angle (on Lake Winnipeg!) and waited for the right time. Isn't that cool? Leigh-Ann spent time talking to me, mining ideas and thoughts in my head and transforming them into this blog. 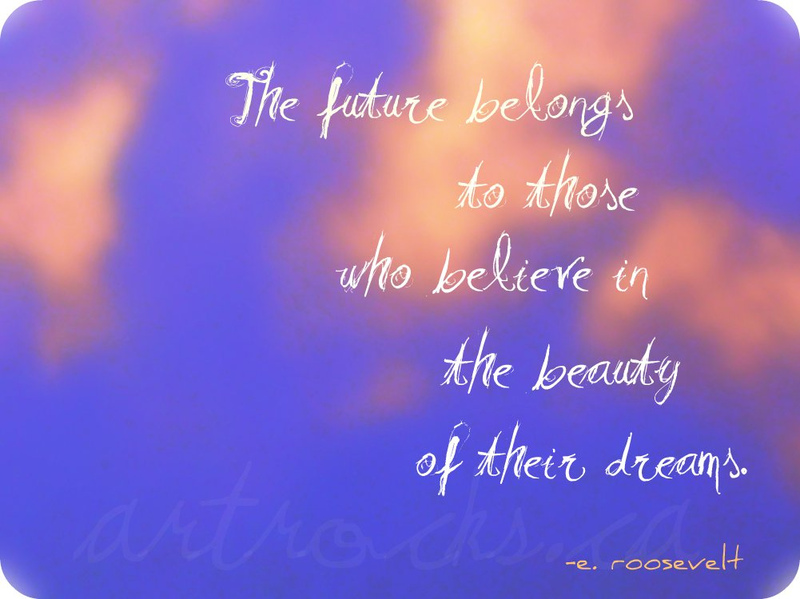 Thank you again for my beautiful blog, Leigh-Ann. Awe! You're so sweet Karen, thank you!!! What a nice write up Karen, I couldn't agree more!! !